As a lifelong resident of the world’s leading city, an entrepreneur and international business leader, and an active director of several institutions critical to New York City’s civic infrastructure, Donald B. Marron’s passion for critical and innovative thinking about the pivotal role cities play in our global society is perfectly matched to NYU’s Marron Institute of Urban Management’s mission. Mr. Marron supports and inspires the Institute to stimulate new ideas on how to best position cities for the future and how to most effectively put faculty research into action in cities around the world. Mr. Marron is the Founder and currently the Chairman of Lightyear Capital LLC, a New York-based private equity firm focused on financial services investing. He is also a member of New York University’s Board of Trustees. Prior to founding Lightyear Capital, Mr. Marron served as Chairman and Chief Executive Officer of Paine Webber Group Inc. for twenty years, from 1980-2000. During his 20-year tenure as CEO, PaineWebber grew into one of the nation’s five largest full-service securities firms. The combination of UBS and PaineWebber made UBS the world’s largest wealth manager. Prior to his tenure at PaineWebber and UBS, Mr. Marron served as President and Chief Executive Officer of Mitchell Hutchins, overseeing its transformation from a predominately retail-oriented firm into one of the leading U.S. institutional research firms. Mr. Marron began his career at the New York Trust Company. In addition to his four decades of leadership as an executive, Mr. Marron has also distinguished himself as an entrepreneur. 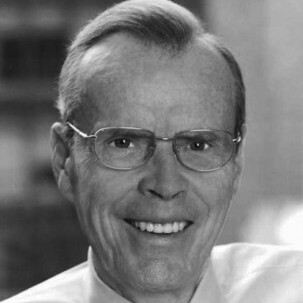 In 1969, he co-founded Data Resources Inc. ("DRI") with Harvard economist Dr. Otto Eckstein. DRI became the largest non-governmental source of economic data in the world. Mr. Marron served as DRI’s Chairman until McGraw-Hill Inc. purchased the firm in 1979. In addition to his notable business career, Mr. Marron has been actively involved in a number of New York City’s leading non-profit organizations. He is a member of the Board of Overseers and Managers of Memorial Sloan-Kettering Cancer Center, and a Director of the Partnership for New York City. He is an advocate for the homeless and has been actively involved with the Coalition for the Homeless. An avid collector and advocate for the arts, Mr. Marron is also a longtime Trustee, former President and current President Emeritus of the Board of Directors of The Museum of Modern Art. He is a former member of the President’s Committee on the Arts and Humanities. Mr. Marron is also active in government and public policy: He is the Chairman Emeritus of the Center for the Study of the Presidency, a member of the Council on Foreign Relations, and a Trustee of the Center for Strategic & International Studies (CSIS). In 1997, Mr. Marron co-chaired CSIS’s National Commission on Retirement Policy and helped develop the framework for Social Security and pension reform legislation. A lifelong resident of New York City, Mr. Marron attended New York City public schools and The City University of New York, and was the recipient of honorary law degrees from Baruch College of the City University of New York in 1983 and Long Island University in 1986. Mr. Marron has been married to Catherine C. Marron for over 20 years. They have two children, ages 17 and 18 and he also has two children from a previous marriage.